The International Monetary Fund in a report on Monday warned Malta that sustained efforts are needed to safeguard the financial system’s integrity. "Sustained efforts are needed to safeguard the financial system’s integrity. 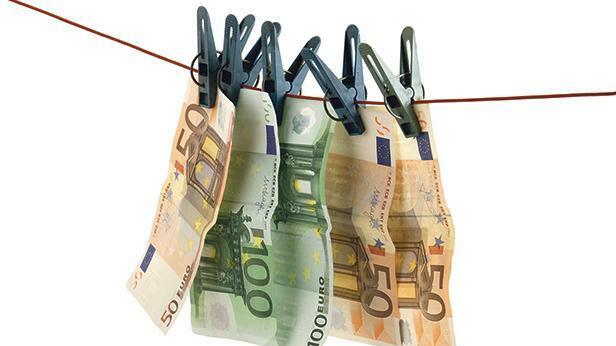 Robust implementation and effective enforcement of the Anti-Money Laundering framework is critical given the size of Malta’s financial sector, the fast-growing remote gaming activity, and the high demand for the IIP," it said. The report is very favourable about the state of the economy. The country, it observes, remains one of the fastest-growing economies in Europe, aided by a rapid expansion of export-oriented services, favourable labour market dynamics, and prudent policies, which advanced structural reforms and strengthened private and public sectors’ balance sheets. "The outlook is favourable, with growth decelerating gradually and converging to about 3 percent over the medium term. Growth is expected to be driven largely by domestic demand, backed by rising incomes and historically-low unemployment while buoyant services exports will continue to sustain current account surpluses." At the same time, robust growth, along with the continued influx of foreign workers, has led to increased infrastructure needs and contributed to higher housing prices. The IMF said its main policy recommendations were for a focus on sustaining the strong performance, enhancing the economy’s resilience, and making growth more inclusive. The strong momentum in the housing market also demanded policy measures. "Targeted macroprudential limits for mortgages would strengthen the resilience of banks and household balance sheets to possible housing price corrections and higher interest rates," it said. quality and increasing the utilisation of alternative means of transport, upskilling and reskilling the labour force to better align education with business needs, and increasing female labour force participation further, particularly among older cohorts. Finance Minister Edward Scicluna welcomed the report's concluding statement and said that prudent policies and advanced structural reforms contributed to the strengthening of private and public sector balance sheets, while steady job creation drove unemployment to historically low levels. Additionally, the government was set to over-achieve the 2017 budget target. “It is my pleasure to note that the IMF is recognising the annual fiscal surplus as building larger fiscal buffers that would strengthen Malta’s fiscal position”, the minister said.